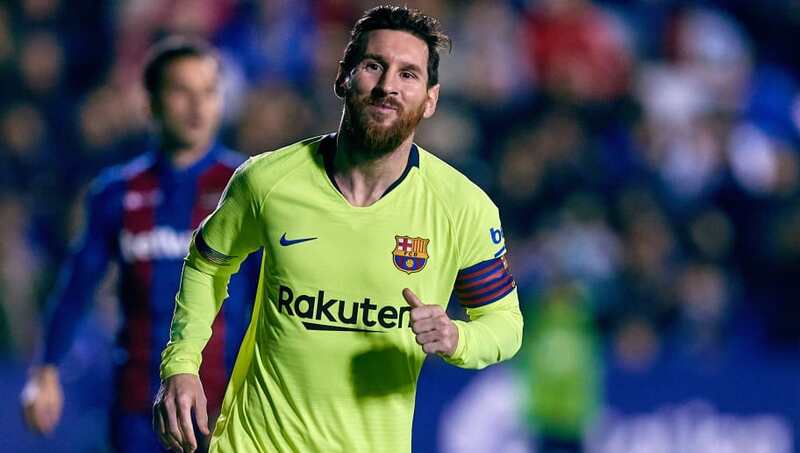 Barcelona manager Ernesto Valverde has heaped praise onto his captain Lionel Messi for his "sense of responsibility" within the club's dressing room, adding that the Argentine is unique for his attitude off the pitch. Messi and Valverde have formed a strong relationship following the latter's arrival in Catalonia in 2017, in which time Barcelona have lifted the domestic double as well as the Spanish equivalent of the Community Sheild earlier this season. Ahead of Barcelona's upcoming La Liga match against Getafe, Valverde claimed that his star player's biggest asset is his "enormous mental strength" and lauded Messi for his continued competitiveness which sets him apart from everyone else. "What I’d most highlight about Leo Messi is his huge sense of responsibility for the team," Valverde told the club's official website. "It shows in every game in every competition. "What he does is not only difficult, but he does it again and again ... That takes enormous mental strength. I have never known anyone with such an amazing competitive spirit." Messi is the best player in history and if he wants Valverde to stay then he should. The players know what's best for them. Praise between both Messi and Valverde isn't one-sided either. Recently, Barcelona's captain made his stance that he wants the Spaniard to stay at the club beyond this season clear to the hierarchy at the Camp Nou. That's not only due to their relationship, however, as it is claimed that Messi was taken by surprise with how well Valverde reads the game. As things stand, Barcelona are on course to retain their league title this season. However, they are only three points clear of Atlético Madrid, while the likes of Sevilla, Real Madrid and even Deportivo Alavés are within nine points of the defending champions.